The first few weeks can set the tone for the entire school year. Capture the summer energy while it’s still buzzing through your students (and you!) by getting everyone engaged and enthusiastic for excitement to come by introducing video into your curriculum from day one. 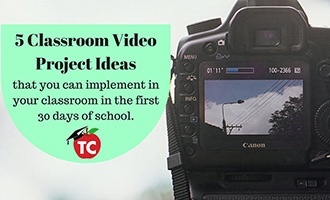 In this issue of the WeVideo Education Newsletter you’ll find contributions from some incredible storytelling experts to help with ideas for projects your students can start in the first days of school as well as expert tips for optimizing the audio in your video productions. We’ve automated our online quote and sales process to make it as easy as possible to get your class, school or district started with digital storytelling. We were invited to join Microsoft in its ISTE partner booth as one of the premier offerings in the newly launched Microsoft Education App Store. This special version of WeVideo is fully compatible with Windows 10 S and the new hardware being developed for it to provide a safe experience along with deep Office 365 integration. Download the new WeVideo Microsoft app here. The incredible WeVideo green screen feature is now available on all your iOS devices. Download the new WeVideo iOS app here. Our updated Android app was chosen to be spotlighted by Google in the Play Store. New features include enhanced, effortless controls for theme transitions, better thumbnail-based folder navigation, new access to WeVideo web-based subscription options through the app, updated social media integration, and more. Check it out! 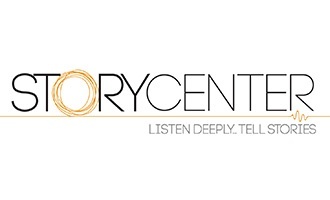 Before most people ever dreamed digital storytelling was possible, Joe Lambert and his partners at San Francisco’s StoryCenter committed themselves to putting the power to be creative in the hands of everyone. In this special article, Joe shares his thoughts and tips from more than 30 years spent sparking students and educators to become passionate, engaged storytellers. Click here to see what he has to say. WeVideo education ambassador extraordinaire Bruce Reicher recently took to the airways on Jeff Bradbury’s TeacherCast.net to offer 5 Things You Can do with Video this School Year. Bruce is a tremendous source of inspiration. Get all the details and then listen to his podcast. Many educators know WeVideo’s tireless Customer Success Manager Atanas Bakalov for his commitment to helping everyone get the most from WeVideo in your classroom. What you may not know is that he’s also an experienced TV and film technical expert! This month he digs into his bag of tricks to help you enhance your productions with a few insider tips on audio. Microsoft made a tremendous impression at ISTE 2017 with its powerful commitment to education and WeVideo’s exclusive version of its app for the new Windows 10 S was front and center. 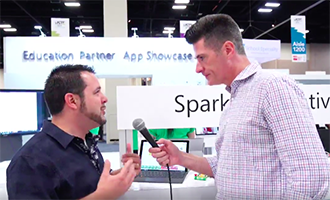 In this video, hear Microsoft’s Anthony Salcito elaborate on these initiatives and the role partners like WeVideo play in ensuring that the very best tools are accessible to as many students as possible. Our favorite part of the video, Anthony’s interview with WeVideo Education Ambassador Greg Lawrence, begins at the 4:08 mark. Getting Started Guide for Teachers: To help you get the most out of WeVideo this school year, WeVideo has published an updated guide to get you started. This doc covers a lot, from the basics of setting up accounts and administering groups, to managing your media. Plus you’ll get help with creating everything from your first project to working with your most ambitious students. Get it here. Upcoming Events: Visit our Events page to find out where you can meet the WeVideo team. Our ambassador, Bruce Reicher, is presenting at edcamp Hudson Valley in NY on August 28th, and at edcamp MVille in NY on September 9th. Motion Titles: Check out our newest Academy video showcasing how to add Motion Titles to your video edits! If you want to read more about Motion Titles, one of our hottest features ever, read this blog post and this press release.